Today is Earth Day, an annual opportunity to become more aware of our planet, its environment, and the people who live upon it. Since 1970, Earth Day has waged a campaign to encourage everyone, and most especially children, to become stewards of the future. One way to do that is by spending more time in the outdoors, observing and playing among our own unique landscapes. 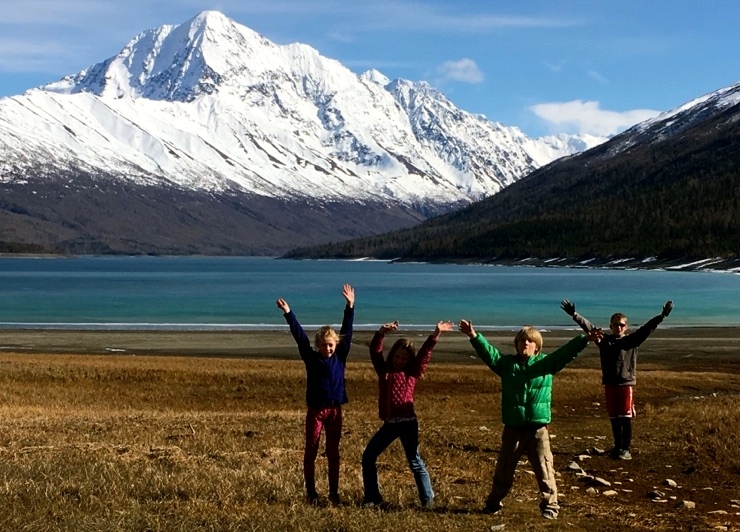 Many of you read my column in the Alaska Dispatch News, taking a simple route to outdoor time by the “Pop-Up Picnic” concept. An easy precursor to overnight camping, the pop-up picnic party concept was a huge hit, and made me realize so many families were looking for a little guidance on how to pack up kids and caboodle and spend several hours enjoying each other and the wilderness without too much stress. Enter Kohl’s. You know their stores, certainly, because just about every mall space in America has one, even in Anchorage, Alaska. And while one would not expect a clothing and houseware-heavy retailer like Kohl’s to sell camping and outdoor gear, the company has made a concerted effort to do just that. Why? Kohl’s, like so many other businesses, realizes the importance of outdoor time for families, providing solid, reputable brands that have been trusted for years. Brands like Coleman and Jansport, gear names I’ve had in my gear cache since childhood. I’ll admit I was initially skeptical; after all, I live in a place where quality gear is not just a want, it’s a need. But like so many other families trying to balance affordability with quality and access to equipment (especially in Alaska, where we have limited storefronts), Kohl’s website filled a nice niche, even if I did feel a little odd at first surfing through the women’s day wear and household goods pages until I found Camping and Hiking. But once there, I found hundreds of options for camping and hiking supplies and gear to make me feel as if this company might be on to something. Eventually selecting items necessary for camping comfort, and a bit of “glamp” for my otherwise backcountry lifestyle, we’ve made Kohl’s a part of our weekend adventures. 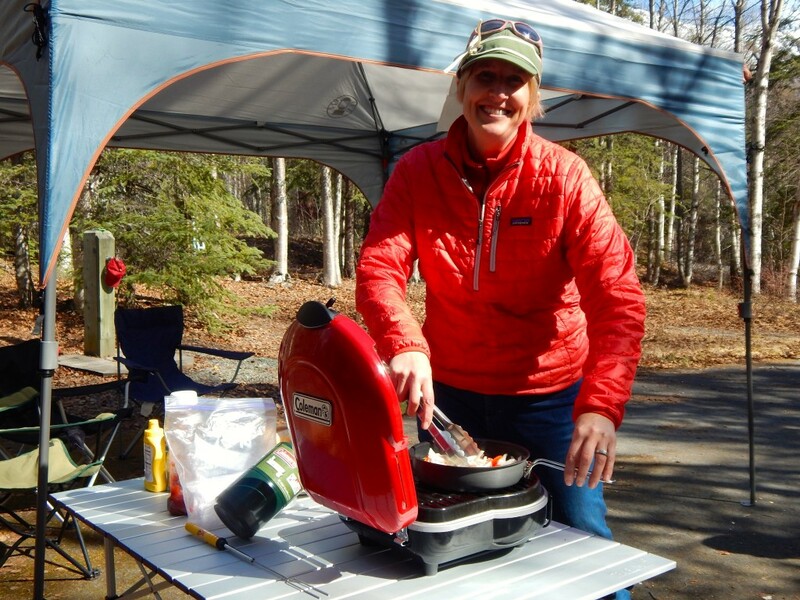 Coleman Fold N Go Portable Gas Grill: I usually have two extremes when it comes to camp stoves. One is the teeny-tiny white gas-powered backpacker stove that I love but only fits one little pot on its flame. Light, yes. Fast feeding, not so much. The other end of the spectrum is the ancient two-burner Coleman stove that wheezes and sputters like an old man (or me without coffee in the morning). But the Fold N Go met me in a very happy place, especially as a car-camping, pop-up picnicking mom who usually ends up holding the spatula. I love the fire-engine red stove. I love the surface area (enough for six hot dogs, three burgers, or a small frying pan. But what I love most is that I can throw the grill itself, and the drip pan, in the dishwasher. Operating with a can of propane available at any store, this foldable grill has become a staple of our outdoor adventures. Coleman All Night Lighted Shelter: Who needs lights during an Alaska summer? OK, I get it, but gee, it is the coolest thing ever to have LED lights built into the frame of a pop-up camp shelter. At 10 X 10, this shelter is also sturdy but light, and comes with a handy case that has wheels for easier transport from car to site. We used it during our biggest pop-up picnic and had to schlep it about a half-mile to the picinc site, and it was easy. 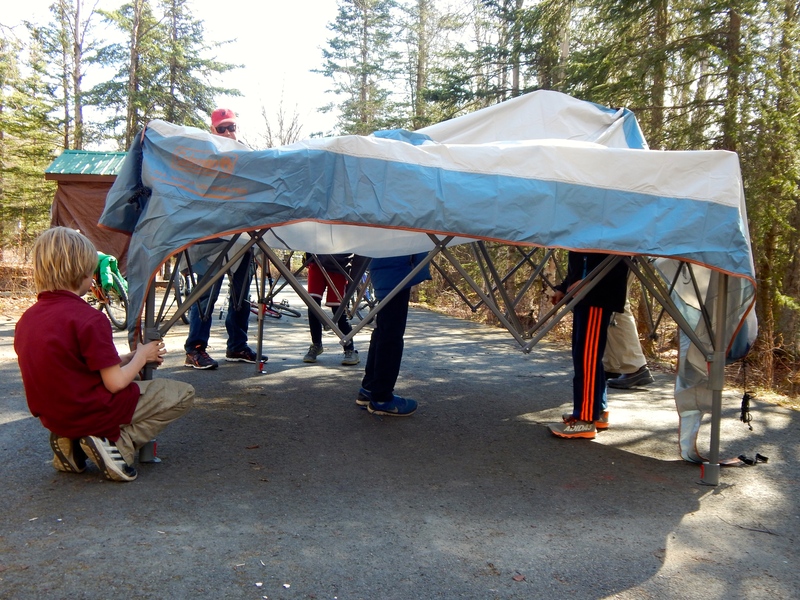 The shelter itself is simple to set up – no more fighting with extending legs or confusing tarps; clear directions and smooth mechanics help with that. I was able to take down the entire thing by myself. And, in anticipation of a sunny few months, the shelter comes with a coated lining that blocks UV rays. 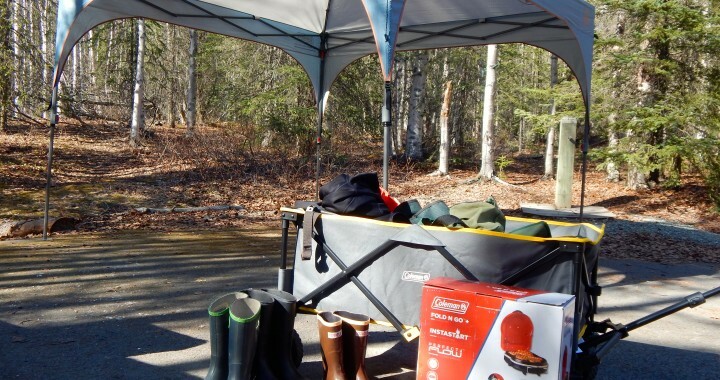 Picnic Time Adventure Folding Utility Wagon: Of all the items I chose, I am most proud of this. “But why would you need a wagon?” a reader might ask. Oh, dear friend, for so many reasons. 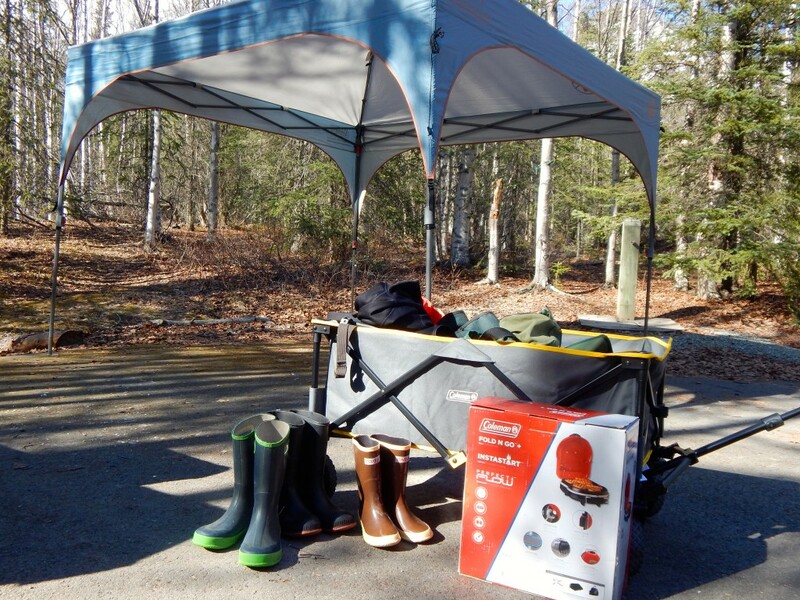 Toting gear from the parking lot to a far-off campsite is the most important, and with rugged wheels and a lock-tight handle, this canvas buggy held up well to our, ahem, cross-country directions from the kids, who found the site for us. Holding up to 200 pounds of gear (or kids, I expect), this is the perfect vehicle for car camping or in the instance of young walkers who don’t always make it back to the trailhead (best for paved or wide gravel trail tread; I wouldn’t recommend this for narrow or steep trails). The best part? This wagon folds up, so you can check it on an airplane, train, or toss in the back of the car like a stroller. It’s going with us on our Iowa to Alaska adventure in a few weeks. 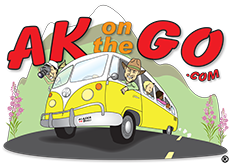 Also look for this wagon for our newest project with Alaska Airlines and the Ted Stevens Anchorage International Airport this summer. How about it? Have I tickled your camping fancy? Kohl’s told me to. And as further incentive, they’ve offered a $50 gift card in our Kohl’s Camping Giveaway, running Saturday, April 23 through Saturday, April 30, 2016. Good luck! A winner will be announced Sunday, May 1, 2016. Give camping a try this summer. I think it’s going to be a great one. Posted in Camping, Gear and tagged Camping, Coleman, Earth Day 2016, Family Travel, Kids, Kohl's, outdoor adventures. It’s live now, so all should be well!